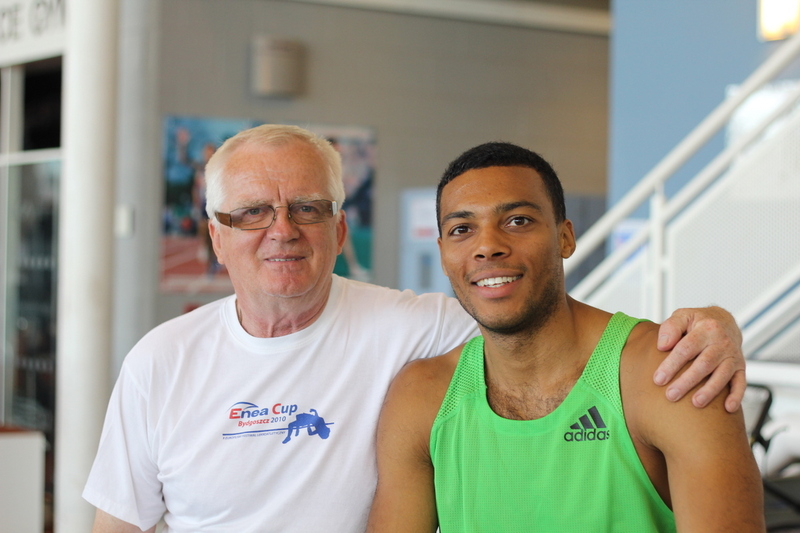 The hurdles guru and one of the world’s best sprint hurdlers, both awesome and amazing people. Just came across a BP advertisment campaign featuring William Sharman. Sometimes I forget how amazing these guys are because I see them regularly and amazingly am training with them. George took me under his wings when I had no technical ability to clear hurdles at all and William has always been encouraging me every since the first time we met. A lot of people don’t understand what William had to go through the last season, I was around when he just broke his wrist from a hurdles accident at the track. To come back from that and to finish 8th in the world championships is no easy feat. Not to mention he’s a great dad and he has such a lovely family around him. That’s why I believe he will be certainly a man to watch out for in the London 2012 Olympic games. ‘You’ll hit 7000 points in 2 years mate, you certainly got the kit.’ That what William Sharman told me when I first trained with him in 2009. Thanks for your vote of confidence in me mate. It’s taking a little more time than 2 years, but I’ll get there I promise. I’ll admit, for all the talk that I often say I’m untalented, I’m actually blessed with the height and built of a decathlete. For a Singaporean male I’m 1.84m tall and right now 84kg. During a jump testing in 2010 (basically standing broad jump into a sand pit), I came second in the group, losing to William who jumped 3.34m (I jumped 2.98m). What I lacked is time and experience and I guess there’s no short cut to resolving it. Thanks mate, it really meant a lot to me.